When Mary Lennox is sent home an orphan from India to live with her hunchbacked uncle at Misselthwaite Manor, she can have little idea of the new life that awaits her there. She arrives a sour-faced, sickly little madam with a furious temper, but through her friendship with local Yorkshire lad, Dickon, and their discovery of a secret garden, soon becomes a happy and healthy girl. She shares her newfound love of life with her poorly cousin, Colin, and together the three children restore the garden to its former glory. Between them they work their magic on the garden, and in turn the garden works its magic on the children and everyone around them. 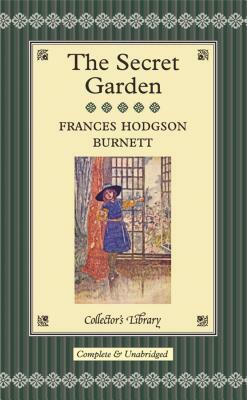 Frances Hodgson Burnett was born in Manchester, England, in 1849, the third of five children. When her father died in 1853 the family was plunged into poverty, and the young Fanny began writing to escape the grim realities of life. In 1865 the family moved to America where she met her future husband, Dr. Swann Burnett. Her book Little Lord Fauntleroy was published in 1886 and was an instant success, launching a career that would produce over forty books. Frances Hodgson Burnett died in 1924.